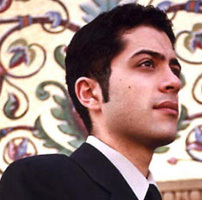 Gotham Harpsichord is pleased to present the New York debut recital of Mr. Mahan Esfahani. Winning wide acclaim for his musical sensitivity and his technical prowess, the Tehran-born harpsichordist and organist enjoys an active career as a soloist and collaborative musician and has appeared on many leading series and venues in the United States and in Europe. Mr. Esfahani will present virtuoso works for the harpsichord by Rameau, Scarlatti, and J.S. Bach on an instrument by William Dowd, formerly in the collection of the late concert pianist Rosalyn Tureck. Featuring a rising presence on the Early Music scene, this is an event not to be missed.